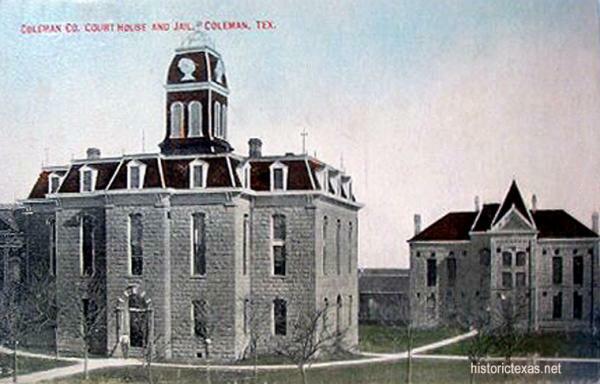 Coleman County has only had one courthouse, although it might look like there were two courthouses. The original brick courthouse was built in 1884. It was remodeled into a modern brick building in 1952. Originally an 1884 2-story stone building with a clock tower designed by W.W. Dudley. Original building had a mansard roof and central tower. In 1884, Coleman County’s offices moved into the grand two story stone building, that, after extensive remodelling, still serves the county today.